Adolescents, like adults, are disciplined for certain offenses with the hope that said offender will not do it again. It starts at a young age, a child does something wrong—a parent determines the appropriate punishment to mete out. Life is about standards and rules, if one falls short or breaks a rule, punishment follows suit. The hope, it seems, as that by the time adulthood rolls around, an individual will be an upstanding citizen. Unfortunately, sometimes a punishment does not match the caliber of the offense—especially in American schools. Across the country, what is known as “zero tolerance” policies are in place at practically every public school. 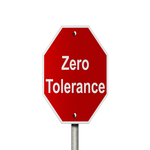 Zero tolerance policies were specifically directed towards drugs or weapons. Students found to have either are subject to either suspension or expulsion. While that type of policy would seem to make sense, such policies may actually do more harm than good. The book covers a number of different areas, sourcing individual narratives, case law—and could prove to be an invaluable tool for both teachers and counselors. Hopefully, it will lead to more understanding and compassion when it comes to discipline in American schools.